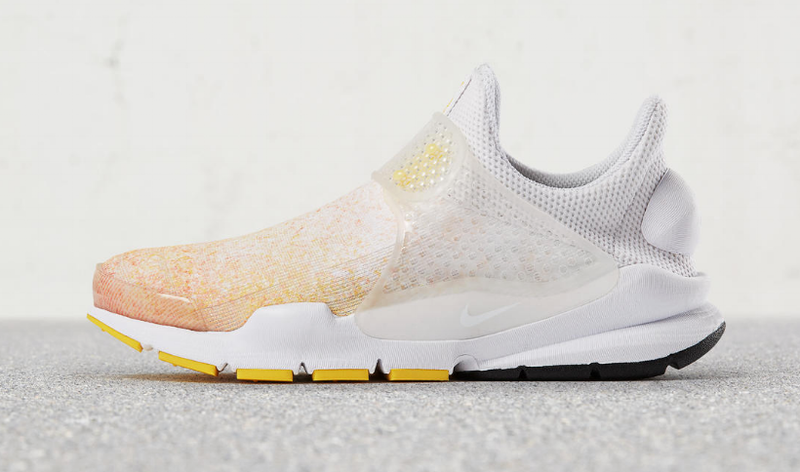 Next week, Nike is droppin’ the latest Sock Dart colorways as part of the N7 collection. What’s special about the N7 is the movement and what it represents. Nike’s N7 initiative supports positive engagement by way of physical activity and sports programs within the Native American community and Aboriginal youth across North America. The Swoosh is all about making a difference. The Women’s silhouette in the collection has a subtle “Sunset Glow” pattern with a white upper base splashed with an orange and yellow gradient. 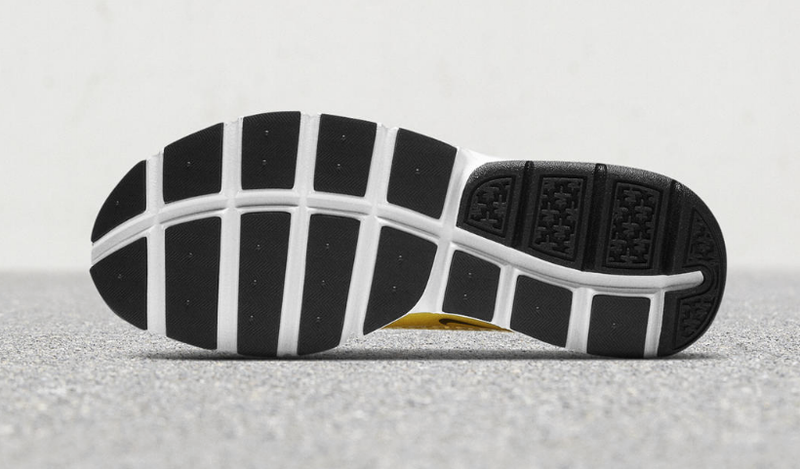 Sitting on top of a white midsole and black and yellow outsole, this pair gives off summer vibes at high volume. The Men’s silhouette has a more bold design with a black and white geometric pattern contrasted by a yellow translucent cage. N7 branding can be found on the tongue and midsoles of both pairs. Is this a cop or can for you? Both pairs are hot and the Men’s sneaker could even be a make-up Father’s Day Gift. The pair is set to release on June 21 for $130 USD retail. If you’re feeling the Sock Darts, shop til’ you drop some other options below.